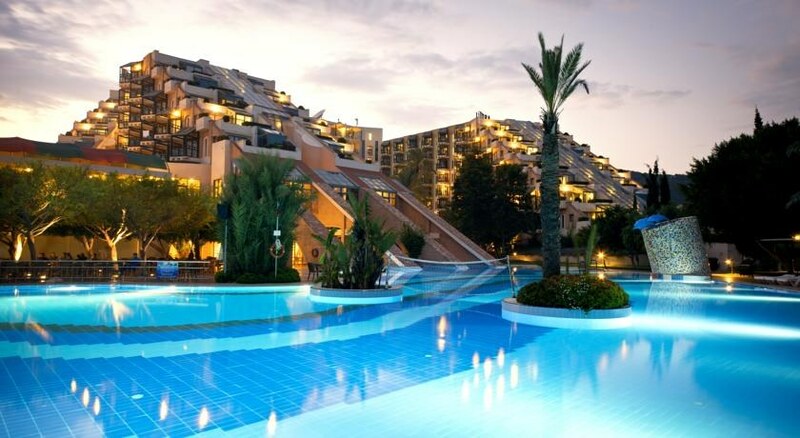 The Limak Limra Hotel & Resort is located in the popular Kirish area, next to the Olympus mountain. This award winning beachfront hotel features a fresh water swimming pool, seasonally open with a separate children's pool. For the comfort of the guests, the hotel features a mini market, a hairdresser, a kiosk, a lobby, a conference room, a reception and shops are available. A playground for children is available. Sunshades and sunbeds are available free of charge at the beach and at the pool. For your entertainment the hotel features a cinema and disco. Vehicles may be parked in the parking lot. The staff in this hotel speaks Russian, English, German and French. The hotel is located only 50m from a gravel and sandy beach. 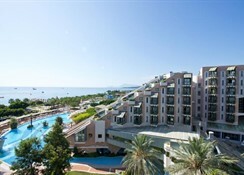 The closest city to the hotel is Kemer (8 km). Antalya is about 50km from the hotel. 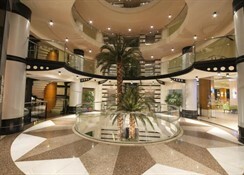 The airport in Antalya is 63.6km. The Dolusu Park in Kemer is only 800m from the hotel. The 691 guestrooms in the hotel are categorised as standard rooms, Jacuzzi suite room, family rooms, private guest house and accessible rooms. Amenities in the rooms include: telephone, flat screen television, safety deposit box, air conditioning and balcony or terrace. All guestrooms come with a king-size bed or two twin beds, free Wi-Fi, safe, tea & coffee making facilities, en suite shower, satellite TV, mini-fridge, radio, hair dryer, continental socket, in-room hair dressing services, iron and ironing board available on request and much more. 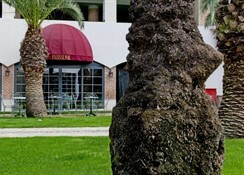 The Limak Limra Hotel & Resort features a clutch of restaurants. Phaselis Restaurant, the resort’s main restaurant, offers buffet breakfast from 7am – 10am. 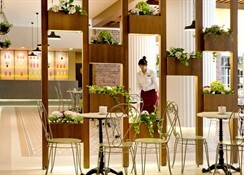 The Galata Snack Restaurant, serves delicious pizzas and pasta. The Lykia Snack bar is for all things snacky. Gözleme House is the resort’s café. Guests can enjoy evening drinks at the lobby bar. At Limak Limra Hotel & Resort recreational amenities include a hamam, massages, a sauna, a spa and a Turkish bath. A variety of activities are provided by the hotel such as billiards. Guests who wish to be active on holiday can enjoy activities such as tennis, basketball, exercise in the fitness room and beach volleyball. Water sports such as water skiing and jet skiing are available at the beach by local providers. Excellent holiday and would recommend. I like the hotel and we had a good time. The rooms and the hotel itself are quite dated, but this hotel provided family entertainment at its best. My children aged 8 and 6 had an amazing time. The food got pretty boring with less variety , food it quite repititive day in and out. Good hotel for families with children. It was clean and food was very good. The kids club was so good kids really enjoyed the mini disco at night.